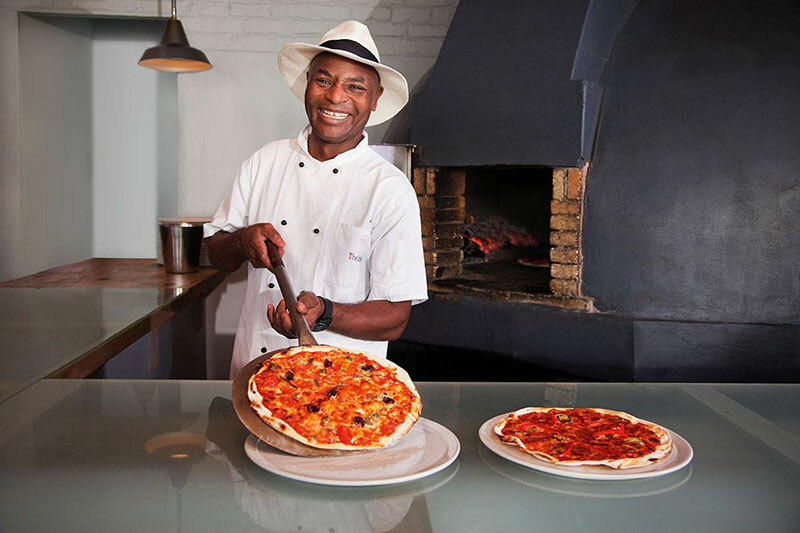 Plettenberg Bay has no shortage of quality restaurants serving up some of the finest food and flavours on the Garden Route. With winter on the horizon, your current craving could tend towards seafood, Plett wine and glorious ocean views or a cosy corner and a warm hearty meal and, either way, these hot restaurants are sure to provide the perfect gastronomic Plett experience. Plettenberg Bay has no shortage of quality restaurants serving up some of the finest food and flavours on the Garden Route. With winter on the horizon, your current craving could tend towards seafood, Plett wine and glorious ocean views or a cosy corner and a warm hearty meal and, either way, these hot restaurants are sure to provide the perfect gastronomic Plett experience and warm you up this winter! Offthehook is a cozy, comfortable and casual restaurant located a short distance from Plettenberg Bay’s popular Robberg and Central Beaches. 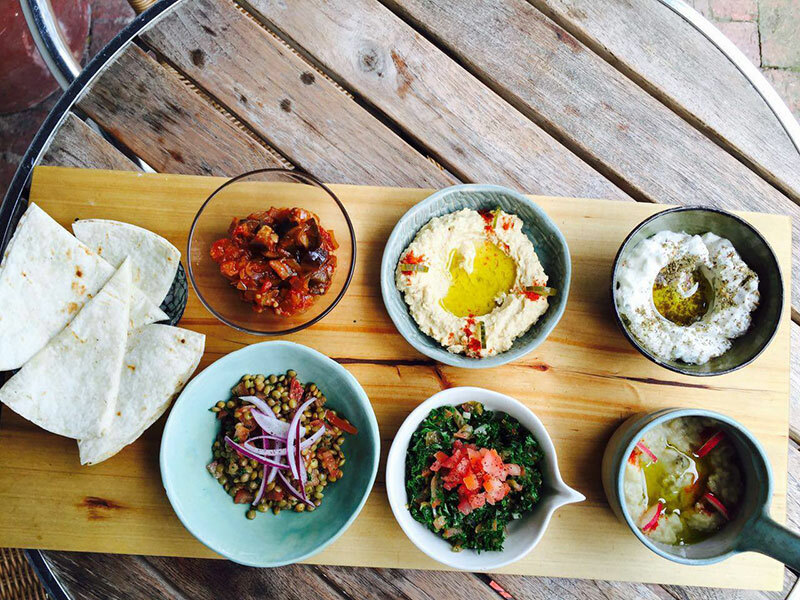 Serving up a variety of perfectly cook and well-presented dishes, including seafood, the most amazing burgers and Lebanese cuisine, you are bound to find something new to try on the menu. As devoted “Locavores”, Offthehook works to ensure that they use local producers and produce wherever possible. 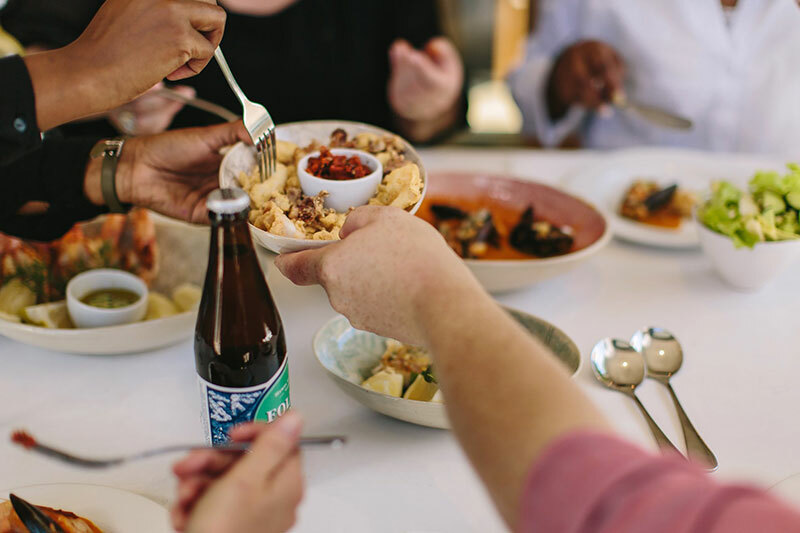 Located at one of Plett’s most iconic landmarks, the White House Theatre, Nguni Restaurant includes more than a touch of nostalgia infused with an African ambience. Dishes are beautifully served either on the sunny verandah or the inviting interior with its original wood-burning stove. The Nguni girls have perfected the art of serving flavoursome local dishes including Bobotie, game, Springbok, Karoo lamb and the like – a true taste of the Cape! 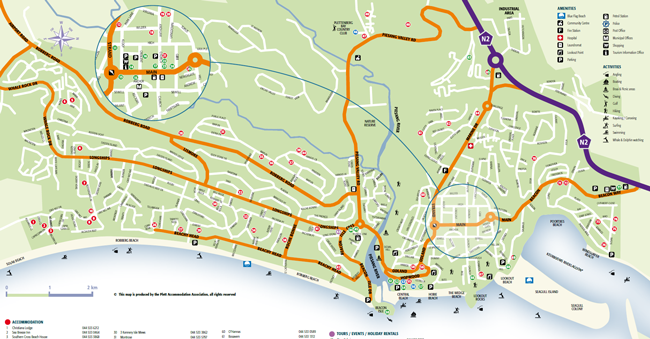 Mobys Seafood and Grill can happily claim to have one of the best locations in Plettenberg Bay. 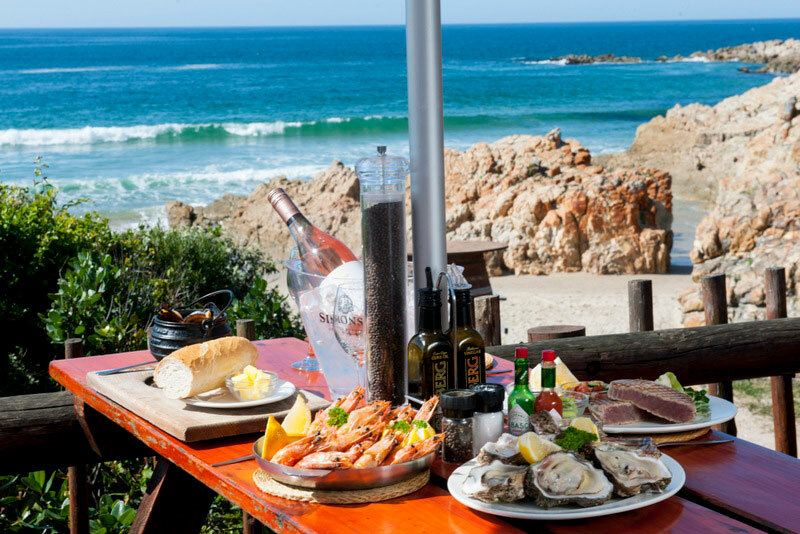 Overlooking Central Beach, the Beacon Island and Robberg, Mobys specialises in seafood and seafood platters. Create your own platter from a wide selection of seafood or alternatively choose from one of their specially designed platters. They also offer a scrumptious selection of meat, pasta and other dishes. Situated across from Plett’s Central Beach, the Fat Fish is everything you would expect from a coastal restaurant in Plett – exceptional views of the bay and mountains, open verandah, fine wine and fresh seafood. With a coastal-casual and up-beat vibe, you’ll know that you’re on holiday as you stroll in off the beach for tapas and a cocktail on the verandah or linger late into the night with a fine wine and sushi while enjoying a magnificent view. The Fat Fish is proud to serve locally produced wines, seafodd sourced from SASSI compliant suppliers and the freshest ingredients available. Simple food. Serious taste. 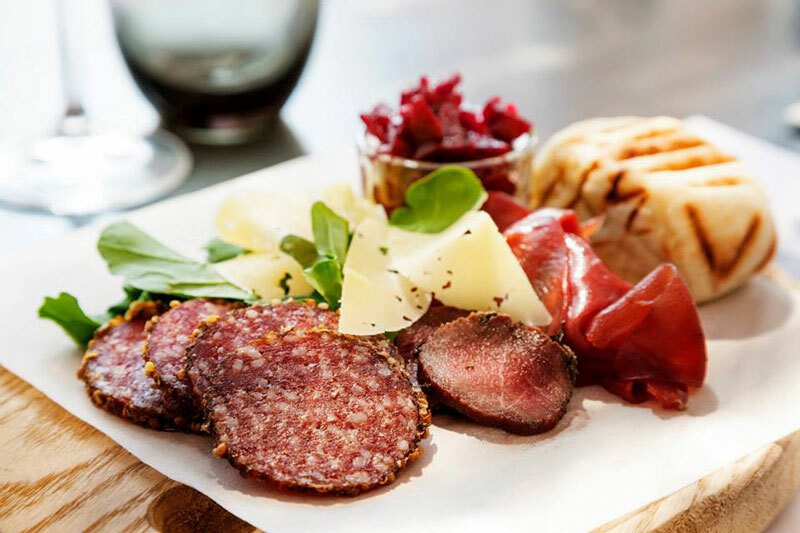 The Table Restaurant & Bar can be found in Plett’s vibrant main street – with al-fresco seating and a varied menu that includes wood-fired pizza, handmade pasta and signature dishes of ostrich with chilli-chocolate sauce and a seafood pizza basket. The Table Restaurant offers warmth, deliciously simple food and famous cocktails. There is a kiddies play area, so families can enjoy their meals together. The Lookout Deck is perfectly positioned along Lookout Beach and Keurbooms Lagoon with uninterrupted views across the bay to the Tsitsikamma Mountains. 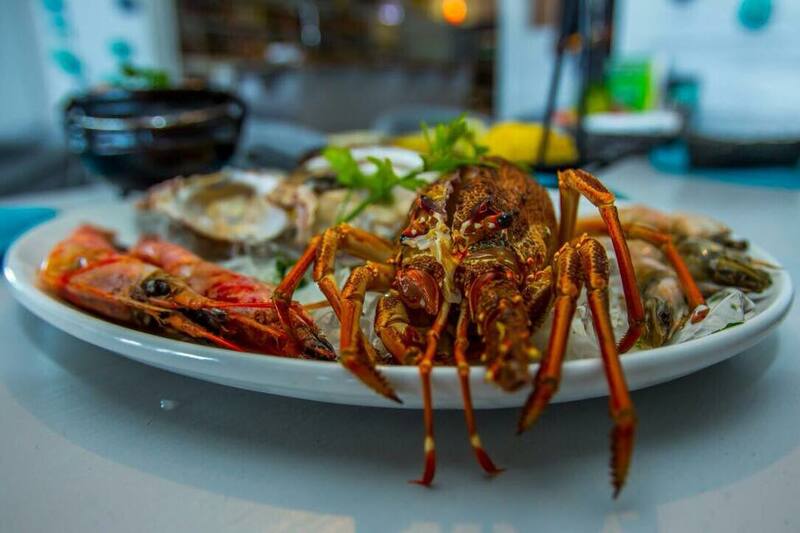 Best known for old-time seafood classics like prawns-in-a-beer-mug, oysters and mussels served in a little potjie pot, “the deck” has an extensive menu filled with familiar favourites. Head down in the late afternoon to enjoy the glamorous light of Plett’s famous sunsets to add a hint of tropical colour to your cocktail.